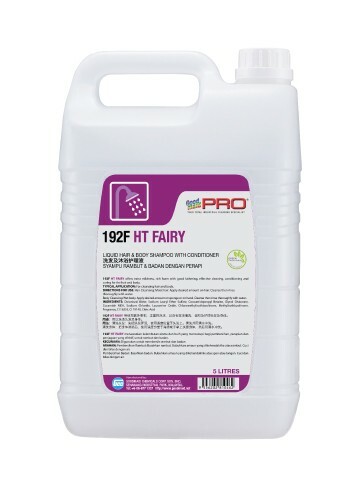 192F HT Fairy - Goodmaid Chemicals Corporation Sdn. Bhd. Enriched formula contains with blended of premium grade mild surfactants to create mild and gentle cleanser for hair and body. • Provides a silky smooth after-feel with a refreshing fragrance and produces a luxurious lather for effective cleaning, conditioning and caring from head-to-toe. 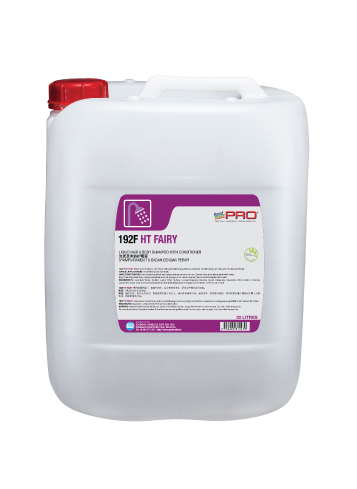 • Perfect for industrial shower rooms, nursing homes, fitness club and etc.